Snacks are always in high demand around our house and I always try to offer a wide variety of healthy options for my family. When we are at home, M and Peanut have plenty of options since we have access to refrigeration. This past weekend, we hit the road with the kids and I needed to be sure to pack plenty of gluten free snacks to keep the kiddos happy for the long car ride- that would not require refrigeration. We packed a large paper bag full of popcorn, apples, raisins, clementines and Lola Granola bars. 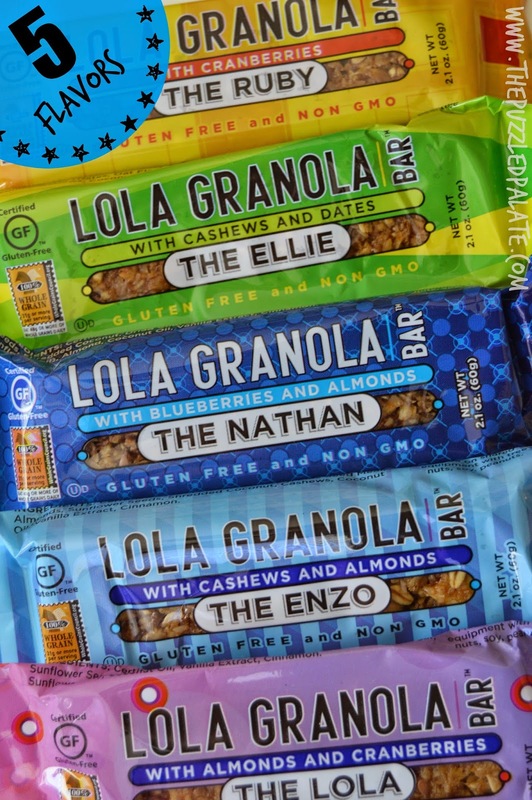 I am sure that you have tried the majority of our snack list items, but have you had the chance to grab one of the gluten free and non-GMO bars from Lola Granola? If not, you should really give them a shot. I really do like them and my son will devour them! M is kind of hit or miss, depending on the flavor and her mood. She really likes the one with the cranberries in it! I think that depending on your kid, they could be a real hit. I do feel that the bars are more for mature palates. These are not junky over sweetened barely-healthy bars. They are gluten free, made with non-GMO ingredients and are sweetened with honey- much healthier than their popular big brand counter parts. 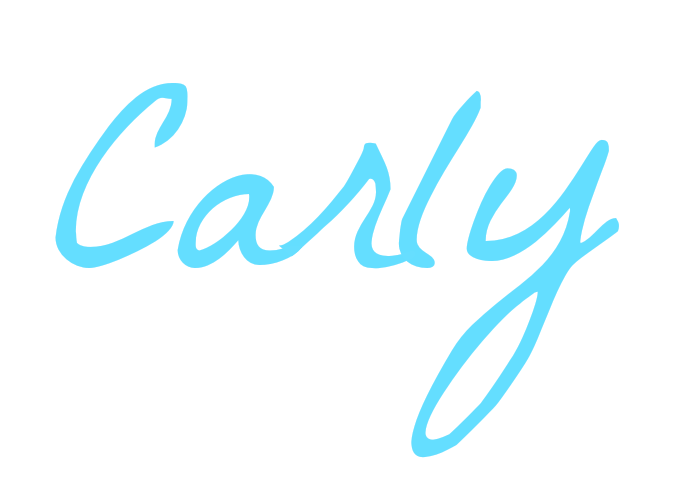 If you are interested in purchasing them, check the list of retailers that carry them or you can also purchase them on Amazon. The lovely people at Lola Granola have offered one of our readers a sampler of their yummy bars! Enter the giveaway below and win $20 worth of gluten free and non-GMO Lola Granola Bars! 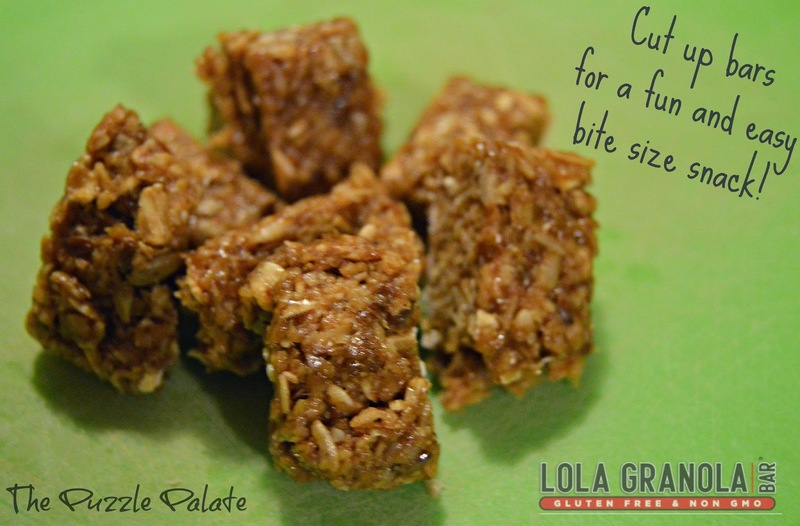 Carly from The Puzzled Palate was provided with a sample of Lola Granola bars to review. No other compensation was provided. The Puzzled Palate and any other bloggers involved in the giveaway were not compensated monetarily and are not responsible for shipping the prize to the winner. Lola Granola will be in contact with the winner as soon as the contest closes and will carry full responsibility for supplying and shipping the winner's prize. Void where prohibited. What are your go to snacks for road trips? As far as road food healthy snacks, well that isn't ever in my thoughts. Sorry, I'm a junk food on the road guy. That might be my problem. The healthiest thing I like to consume is probably Sunflower seeds. Shelled and lightly salted. I love taking peanut butter and apple slices on road trips. I also carry different gluten free snack bars with me as well. Haven't hit the old, dusty trail in awhile, which reminds me, we're overdue! Seriously, though, it's sometimes a bit of a struggle to figure out since they are so picky. The last couple of times, it was granola bars, trail mix, Pirate Booty in the small snack bag size, and juice boxes. 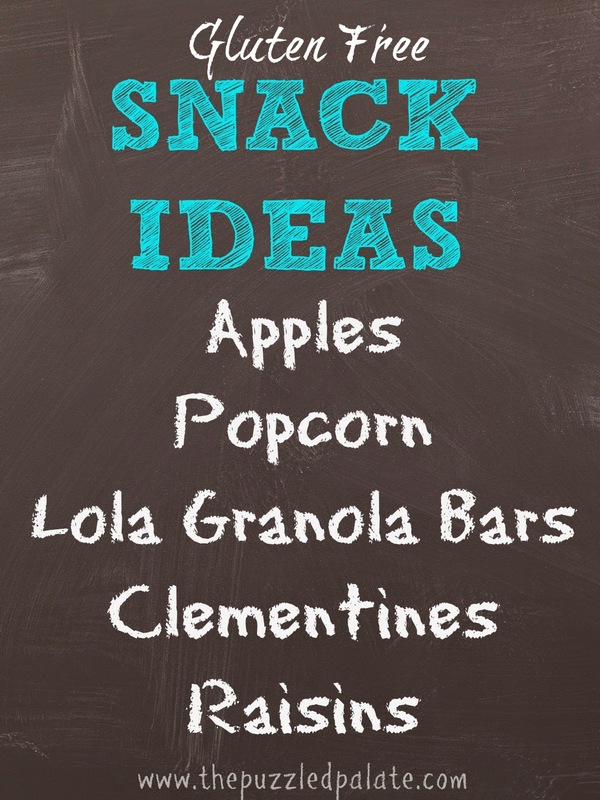 I love healthy snack options for the kids' lunches! Sometimes it's hard to remember how we can mix it up!